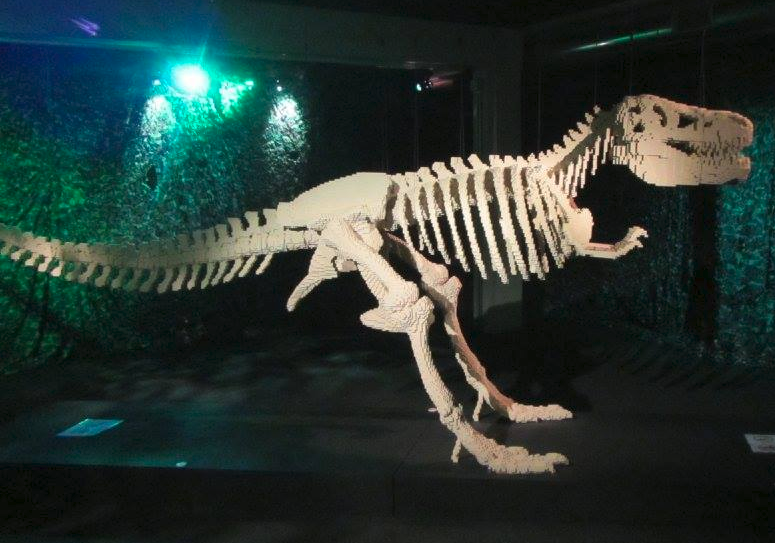 Check out this guy who makes art out of Lego bricks. Very talented and very creative, a must see. His name is Nathan Sawaya and he is a 33 year old New York artist. I really wish I could be in America to go see his art museum exhibit, the pictures on his website show some amazing sculptures. go check out The Art of the Brick. Well done mate. Thanks Ursi. So 8 years later I finally start my Big OE traveling around Europe for a few years, first stop being Rome. And wouldn't you know it, right down the road from my hotel is his traveling exhibit! It was up there with many of the other museums and galleries I've been to, just amazing. What's more amazing is that I had forgotten I had written about this before. I knew the artist when I saw the post on the street and felt very lucky to finally see an exhibit that I thought I would never get to see (since I was living in a small nation in the Pacific Ocean). But do you think I would recall that I had published something about him in the past? This is one of the reasons I blog. And talking to other bloggers they say the same. It is a record of things that I have discovered, figured out, and liked. It is for me, as a record that I can refer back to and find things to use again. We blog first and foremost for ourselves. And the added benefit of doing so in a public forum is that like-minded people will be able to find value in it as well. I can't count the times I've searched something in Google only to find my own posts surfacing to the top. This is why I blog. If you think there is a benefit to adding your own ideas to the global backup of our minds, maybe you should give it a try too? For more information about Nathan Sawaya and his work, check out his artist's page on artsy.net, and if you ever get the chance to view his works in person, I highly recommend it.